President Muhammadu Buhari last Tuesday approved the appointment of Prof. Abdullahi Dasilva Yusuf as the new Chief Medical Director of University of Ilorin Teaching Hospital (UITH). His appointment came barely three months after the expiration of hitherto CMD, Prof Abdulwaheed Olatinwo who bowed out of office in March 2018. Before now, Yusuf was head of department, Behavioural Science, Faculty of Clinical Sciences, College of Health Science, University of Ilorin. Recall that Yusuf had a keen contest with the immediate past Chief Medical Director, Prof. Abdulwaheed Olatinwo for the apex position at the hospital, eight years ago. Speaking with this medium on his appointment, the new CMD attributed his emergence to 'an act of God'. "As a Muslim, I believe God's time is the best. For it to have come at this time, it's purely divine intervention." 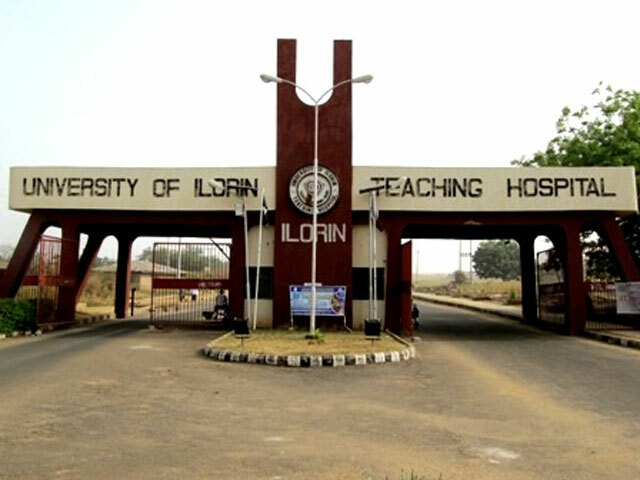 The contest for the position of Chief Medical Director of the University of Ilorin Teaching Hospital (UITH) began late last year before the expiration of the tenure of Prof. Abdulwaheed Olatinwo who bowed out of office in March. Among the frontrunners for the position of UITH CMD were, Prof. AbdulGafar Jimoh, an Obstetric Gynaecologist, Prof. I.A Alabi, Prof Olatunji Buhari who was the Chairman Medical Advisory Committee (CMAC) and Prof. Abdullahi Dasilva Yusuf, a consultant psychiatrist. According to a source, the leading contestants were said to have sought the support of personalities and top government functionaries from the state and Abuja to ensure their emergence. Though Yusuf was said to have impressed the Governing Council of UITH the most during the interview, his compatriot, Buhari, who hails from Omupo in Ifelodun Local Government of Kwara State was however named in acting capacity. According to the source who craved anonymity Buhari was said to have the backing of two gladiators who are close to the presidency hence his preference and appointment as the Ag. UITH CMD in March. Buhari was said to be in line to secure the position in substantive capacity but for the Senate President, Dr Bukola Saraki who reportedly sounded out the candidacy of Prof. Yusuf, an indigene of Moro to concerned authorities. Saraki according to a source reportedly prevailed on Yusuf to wait for his turn when he contested the position with the immediate past boss of UITH, Olatinwo, eight years ago. The source further said the Senate President may have interceded on behalf of the new CMD as a way to reward him for his patience. Speaking with this medium, yesterday, Yusuf appreciated the efforts of Saraki describing him as a good leader and a man of quintessential quality. "I thank Almighty God for making it possible this way. At the same time, I appreciate the effort of the Senate President, Dr. Abubakar Bukola Saraki for his unalloyed support. He deserves my appreciation," Yusuf said. Another contestant, who many expected may emerge, is Prof. Alabi, who is the personal physician of the Emir of Ilorin, Dr Ibrahim Sulu Gambari. Meanwhile, the new CMD has expressed his readiness to make the facility Africa�s medical destination. While unveiling his agenda for the hospital, Yusuf said; "my priorities include, taking the hospital higher than I met it and making it a reference point of medical tourism in Africa. "I also want to attend to the welfare of staff of the hospital. Staff development in the area of training and retraining would be the basis of service, and also to get state-of-the-art facilities that can compete with global standard." The professor of psychiatry who was born on January 3rd 1963 was prior to his appointment, the Ag. Chairman, Faculty Board of Psychiatry, National Postgraduate Medical College of Nigeria (NPMCN), Ijanikin, Lagos. He was member, Governing Board, National Postgraduate Medical College of Nigeria, member, Docimology Committee, National Postgraduate Medical College of Nigeria (NPMCN), Ijanikin, Lagos, Secretary, Faculty Board of Psychiatry, National Postgraduate Medical College of Nigeria (NPMCN), Ijanikin, Lagos, among others.